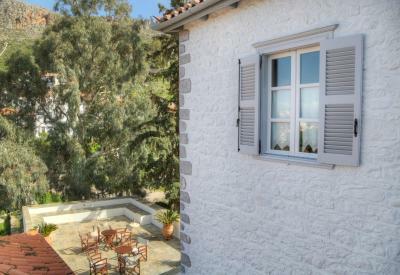 Lock in a great price for Nereids Guesthouse – rated 9.3 by recent guests! Beautiful setting away from the port’s crowds. Very friendly staff, gave good good and hiking recommendations. Love this place! Very clean. Some rooms had a nice sea view. There was a nice terrace to sit at and talk. The room was clean and comfortable. Being outside of the busy port area was relaxing. Beautiful view! Friendly and helpful staff. 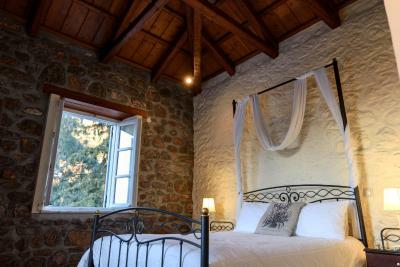 Gorgeous room with lots of charm. Highly recommended!! 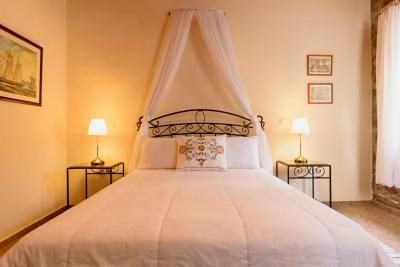 The hotel is located in the fringe of town which gives it tranquility. The owners are so kind and helpful and recommend special local restaurants. I was able to check in early and got an upgraded sea view room. I didn’t want to leave it, but did some lovely hikes and swims in the sea. A hot pot and coffee and tea are provided. Beautiful island and great view of the sea! Owners were very kind and helpful! 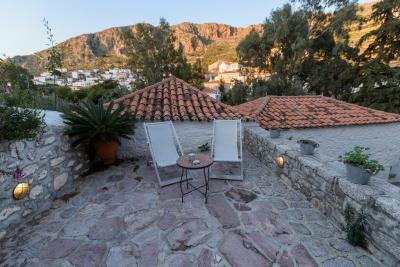 Beautifully restored stone complex which truly delivered the feeling of the beautiful island of Hydra. 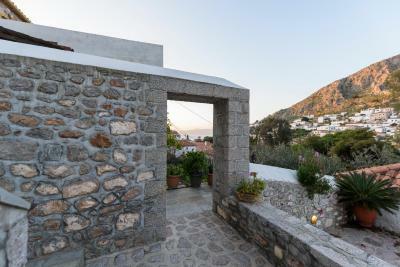 Outstanding location elevated above most of the port town with spectacular views yet just a short enjoyable walk to the port. There are multiple sitting areas that were spacious and comfortable. The owners are hands on and are always available. 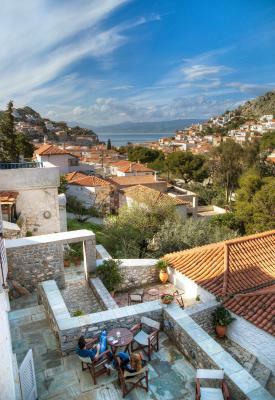 Will definitely return to Nereids on our next visit to Hydra. 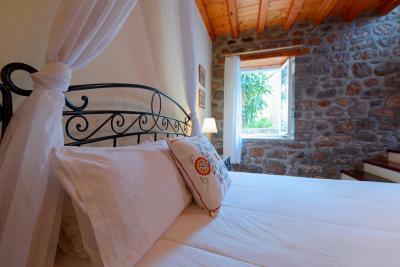 Big room, big bed, clean, beautiful space. Cool patios. Very reasonable prices. 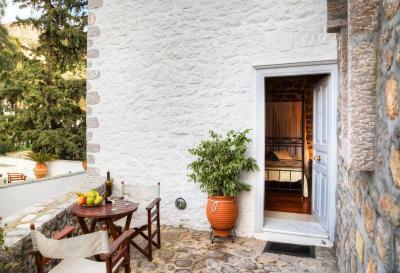 With respect to the local architecture, the stone-built Nereids Guest house enjoys views of the Saronic Gulf and Hydra Town from its furnished terraces. 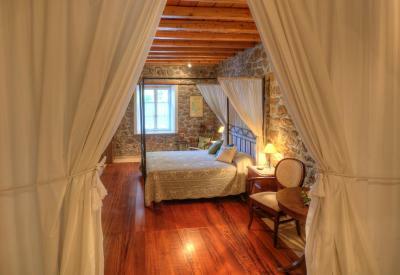 It consists of elegantly decorated rooms with free Wi-Fi. 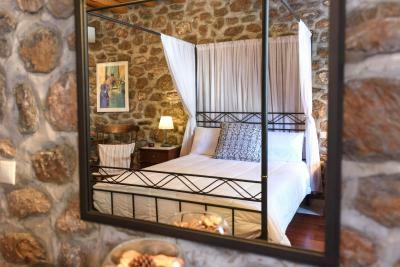 Fitted with beamed ceilings and iron beds, all air-conditioned rooms include a satellite TV, mini fridge and kettle. 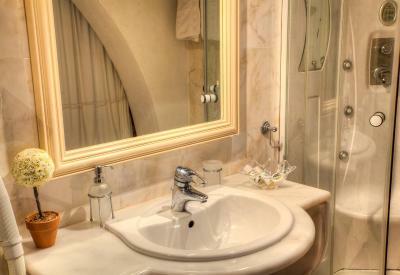 Free toiletries and hairdryer are available in the bathroom with marble fixtures. 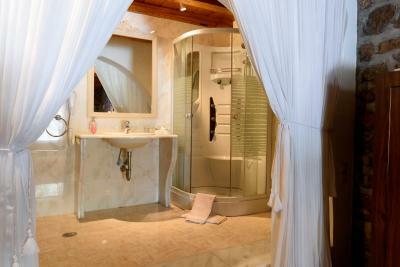 Some rooms also offer sea views and a hydromassage shower. 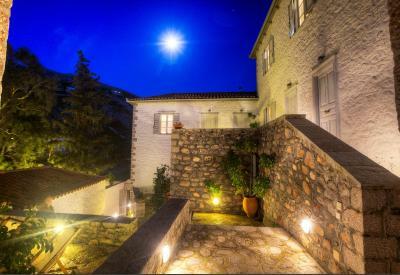 Nereids Guest house is located 4 minutes’ walk from Hydra Port with several dining and entertainment options. The car-free Hydra Island is only 1.5 hours from Piraeus Port by the hydrofoil. 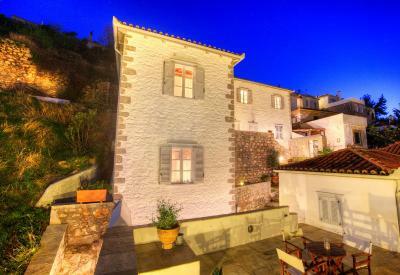 뀐 Located in the top-rated area in Hydra, this property has an excellent location score of 9.2! 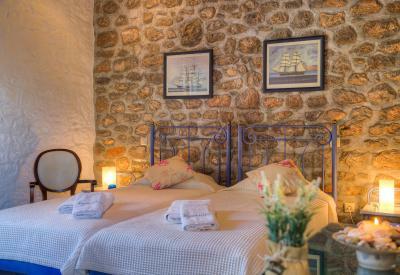 When would you like to stay at Nereids Guesthouse? 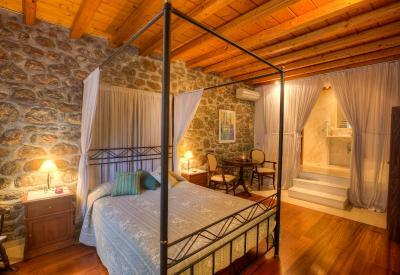 Fitted with iron beds and beamed ceilings, this elegantly decorated room features free Wi-Fi, satellite TV and mini fridge. 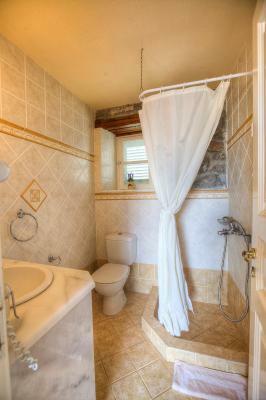 Free toiletries and hairdryer are available in the bathroom with marble fixtures. 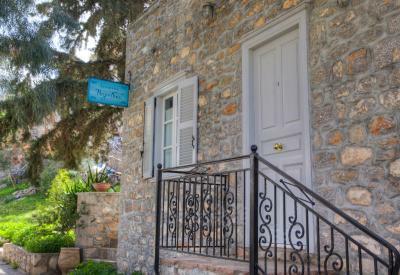 House Rules Nereids Guesthouse takes special requests – add in the next step! Free! One child from 2 to 9 years stays free of charge when using existing beds. 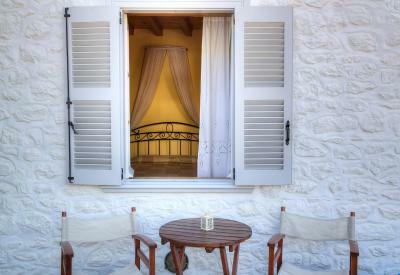 Nereids Guesthouse accepts these cards and reserves the right to temporarily hold an amount prior to arrival. There were a couple of minor maintenance issues with our room, but nothing significant. Nice house on a beautiful island. Great location - a peaceful location a few minutes from the busy harbour area. 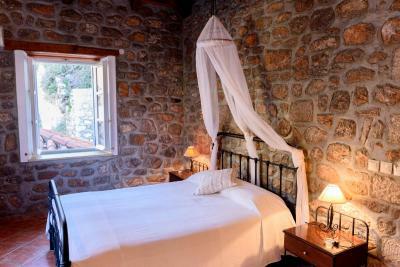 Beautiful old stone guest house with lovely outdoor seating areas on different levels. Very helpful owner named Costa. So peaceful and quiet. A little away from the busy port which is quite good as the serenity is well worth it. It’s only a few minutes walk to the main shops. 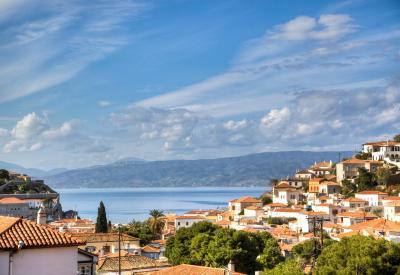 Costa recommended some great walks and local restaurants which made my stay so enjoyable. Rooms are cleaned every day. So nice. 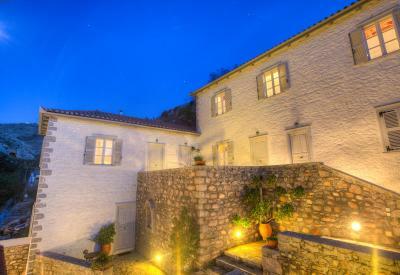 I had only booked 3 nights but booked another two because I didn’t want to leave! As my husband had a bad knee we were pleased that it was a flat walk to the property with the most beautiful cats all had been spayed and well looked after , on route steps up to apartment not too steep we had asked for a room with a view so we knew it would be a little climb our choice !! The owner Paniotis was very helpful and recommended a couple of restaurants that where very good and didn’t cost a arm and a leg . 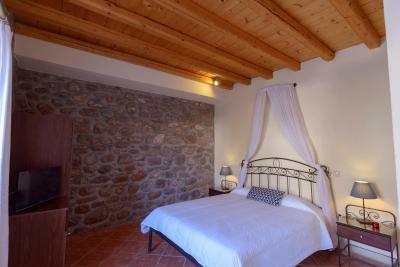 Very nicely furnished too . 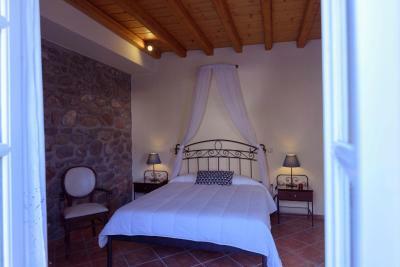 Very nice and spacious room, comfortable beds, good shower & very friendly owner. Would stay here again! Beautiful rooms, really friendly, helpful guesthouse owners, found me a plug adaptor which I'd forgotten and rescued me promptly when I locked myself out of my room with no shoes or phone! View was lovely, and a variety of peaceful terraces shared by all residents for sitting outside. Didn't want to leave. The fact that they asked for extra charge to send a person to welcome as at the port and show us the way to the Hotel, as there are no signs in the streets and even if the distance is very short, all their guests were doing rounds in the island to find it..(All other hotels had people at the port to find and welcome their guests) But the worst thing that we have never experienced before was that there was NO HOT WATER in the bathroom during March. We had a cold shower and when we mentioned it, the answer of the owner was that this never happened before and doesn't know the reason. Well maybe you should respect your guests more with switching the boiler on for efficient time so that all your guest can make a shower. You can't just earn without offering neither the basics. Very strange incident. 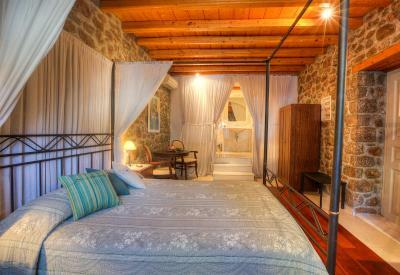 :/ Pity cause it is a beautiful block of guesthouses and with a better sense of hospitality it could have been excellent. 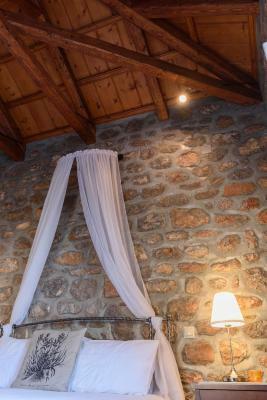 We liked the location and the hotel stone building. 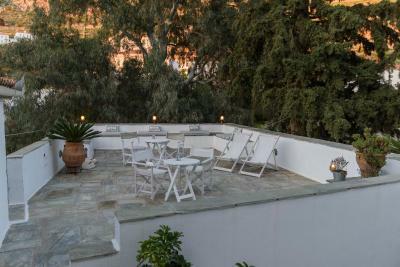 It had a nice terrace and the room was comfy and spacious for 2 people. 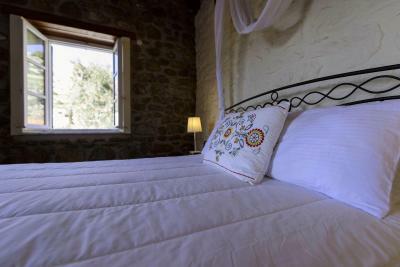 The sheets were clean and the bed was comfortable. 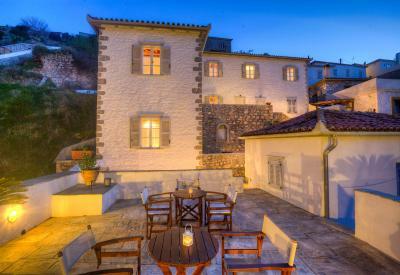 A plus was that there were no steps from the port till the Guesthouse, as many other properties are on the steep hill. 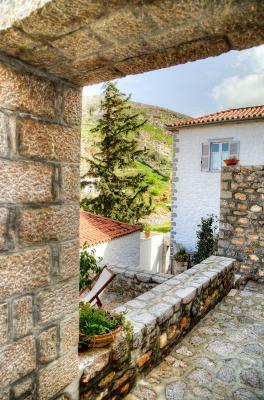 There is a nice green area around the houses as well. They had coffee and tea on the table and a kettle which by the way needs cleaning more regularly - it was black inside. 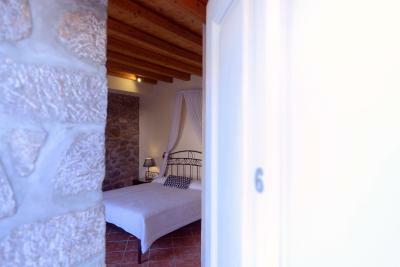 Beautiful rooms and amazing view from the terrace! The staff is going out of their way to make you as comfortable as possible. Very cozy bed and super clean room! We loved it! Thank you very much. 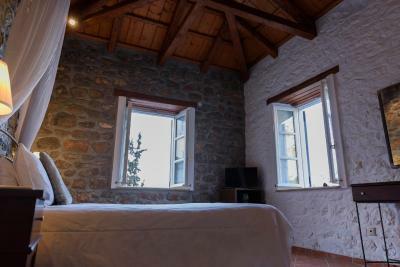 Beautiful room and great view up on the hill. 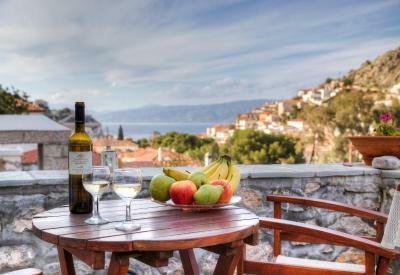 Quiet and beautiful with a view of the sea over the rooftops of the idyllic island. Friendly owner and well-kept place. The room was clean and in a very good location.